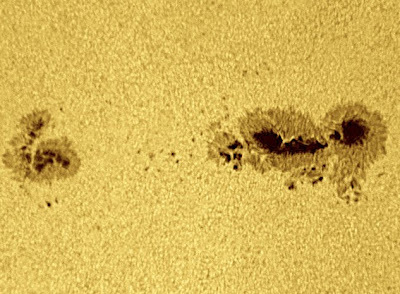 Gaynor Thomas sourced a wireless PA system which we tested today. 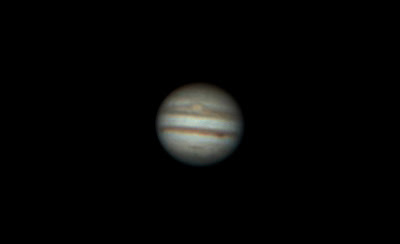 It passed with flying colours. Gaynor demonstrates the amplifier and the wireless lapel/shirt microphone. 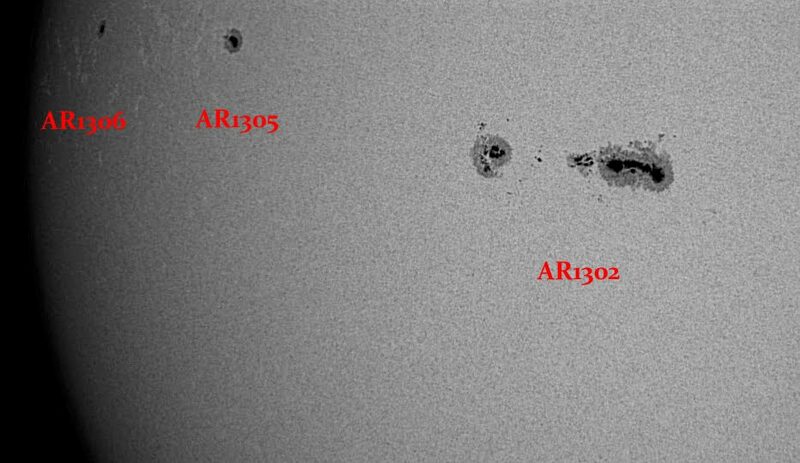 This will drastically improve the acoustics of the lecture room without interfering with campus systems. 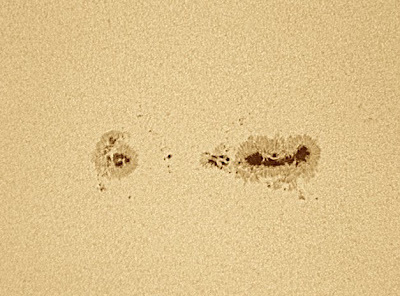 Members who are hard of hearing will be able to have a better chance of hearing the speakers. 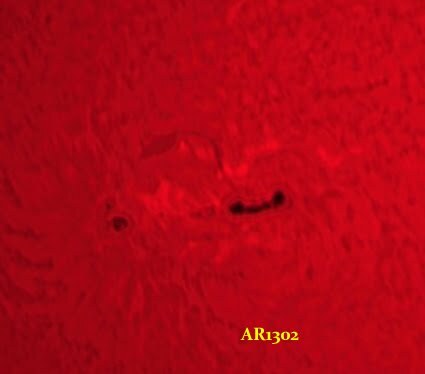 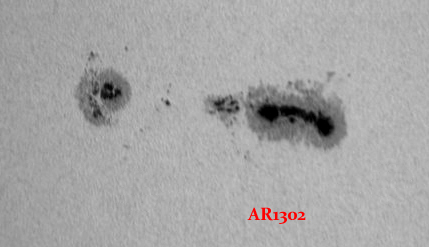 The leading component of AR1302 has completed its split into two distinct spots. A DMK21AS camera fitted with the lens assembly from a x2 Barlow and a UV/IR cut filter was used with a 5" Maksutov fitted with a photographic grade Baader solar filter. A single AVI of 10000 frames was processed with Registax 6 for each part of the AR. The two parts were merged with iMerge. Lots of granulation and spot structure is visible. 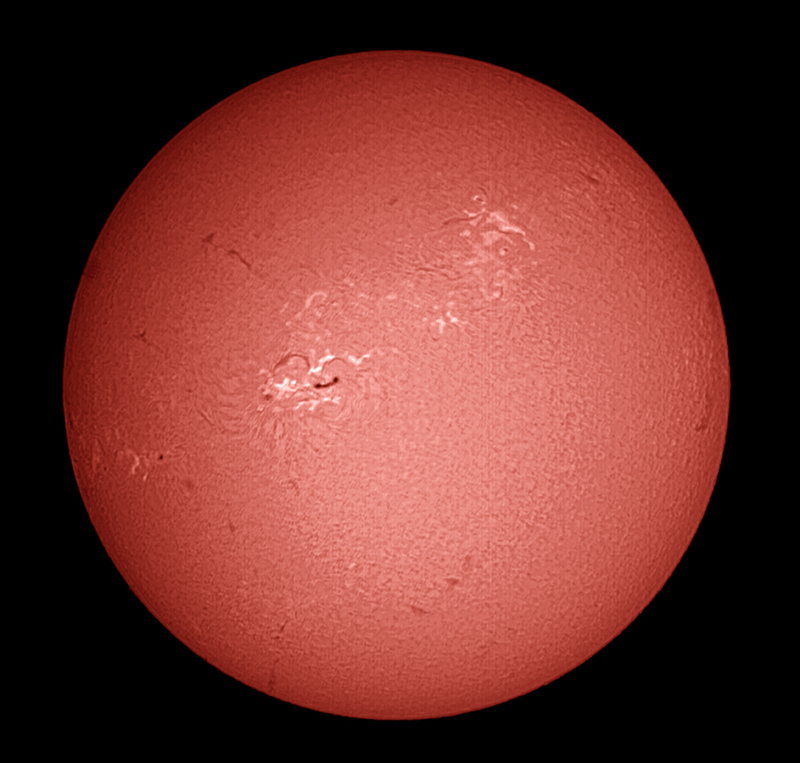 an 11" Celestron fitted with a Baader solar film type filter. 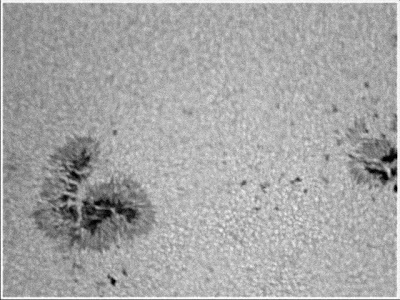 approximately 4480 mm using a 1.6 Barlow. In the evening a Samsung SDC-435 frame-accumulating video camera fitted with a light pollution filter was fitted at the prime focus of an f/5, 6" Newtonian. 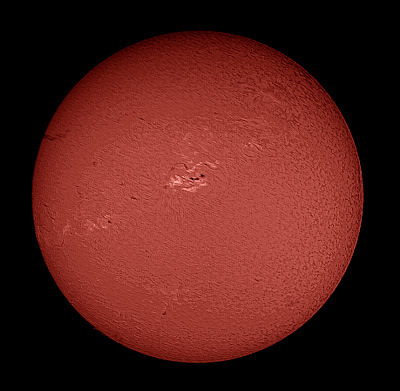 A Kmax USB video capture card was used and GSTAR4 was used to capture unique frames into AVIs. 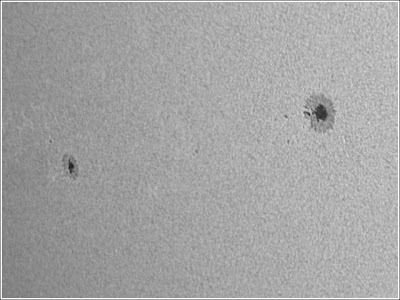 Dark frames were collected and Andrew Sprott's Dark Frame Scaler was used to scale the master dark frame before it was used in Registax. A modified Opticstar PL-130M 1.3Mp CMOS camera was placed at the prime focus of a H-alpha PST to image the whole disk. 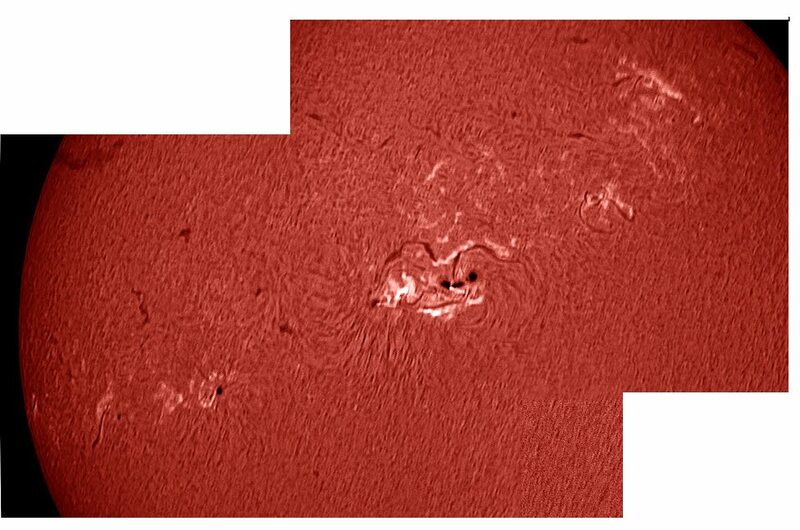 New GSTAR4 software by Australian astronomers Steve Massey and Chris Wakeman was used to control the camera and capture AVIs. 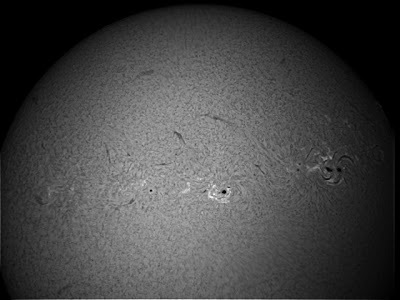 A DMK21AS camera fitted with a Baader green continuum filter and an IR/UV cut filter was placed at the prime focus of a 5" Maksutov fitted with a Baader photographic grade solar filter and AR1302 was imaged. 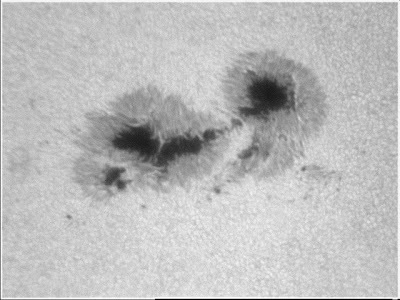 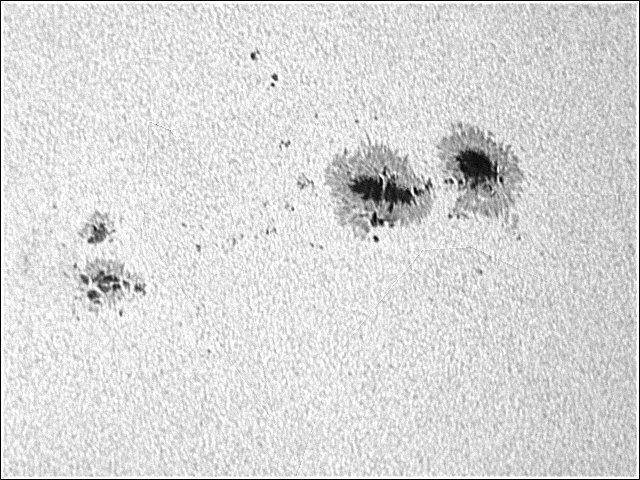 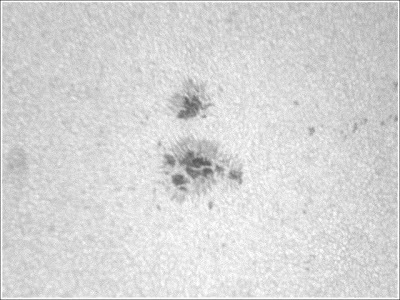 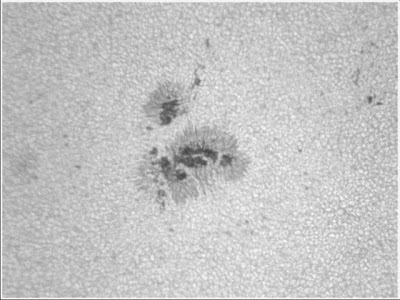 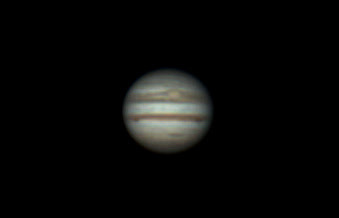 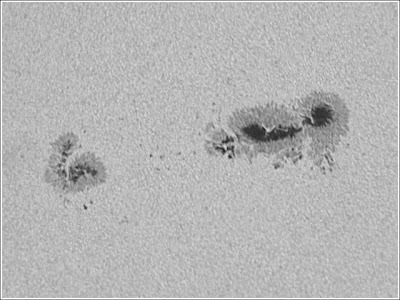 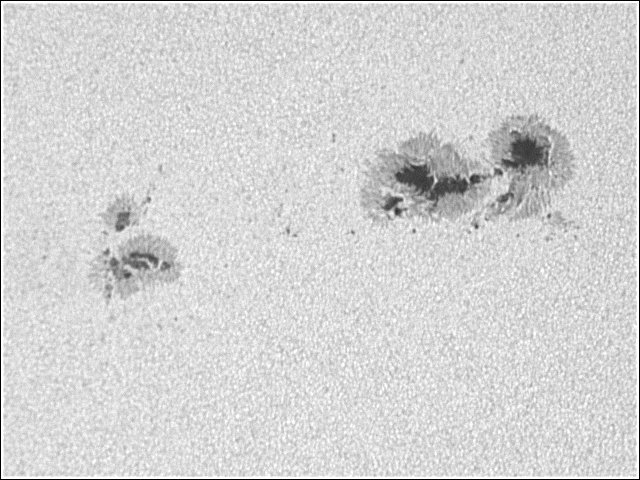 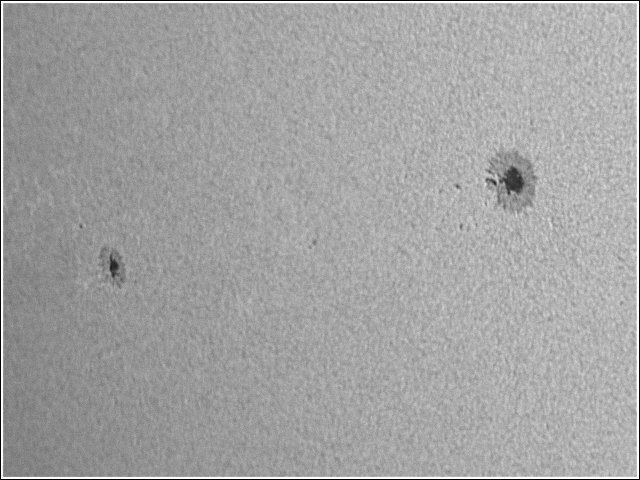 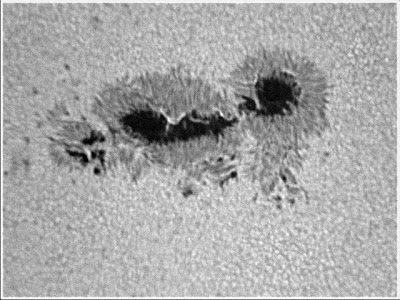 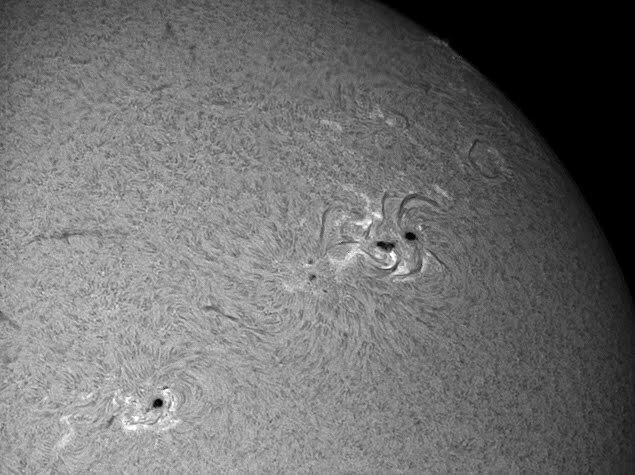 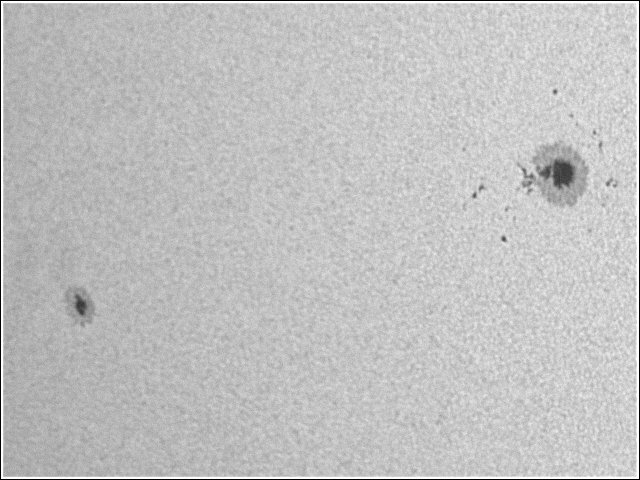 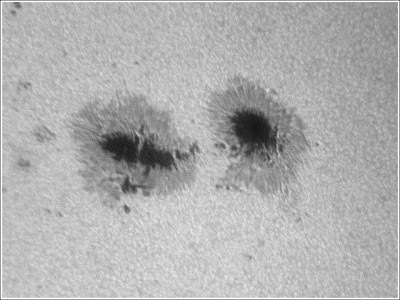 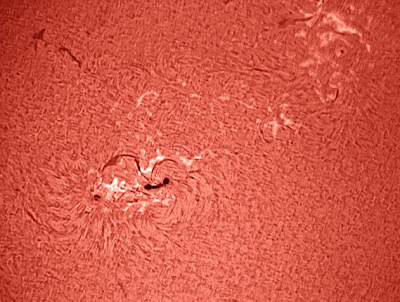 The same active region was also imaged with the DMK fitted with the lens assembly from a x2 Barlow with the H-alpha PST. The whole disk and the active regions were seething with activity. Images were colourised to represent the wavelength used.